It was the last item in a long list that ranged from the strategic ("a nuclear war cannot be won and must never be fought") to the trivial ("increased television coverage of sports events"). But it was an item that, in the long term, held the potential to change the course of civilization. Dubbed the ''fireside summit,'' the Geneva Summit on 19-20 November 1985 opened a new era in the US-Soviet relationship. Reflecting on the outcome of the Summit in 2012, William F. Martin, Executive Secretary of the National Security Council and Special Assistant to Ronald Reagan, considered that the international collaboration in fusion was ''the only tangible product agreed upon'' in Geneva. Issued on 21 November 1985, the Joint Soviet-United States statement on the Summit Meeting in Geneva contained 13 points. The last one stated that Secretary General Mikhail Gorbachev and President Ronald Reagan "emphasized the potential importance of the work aimed at utilizing controlled thermonuclear fusion for peaceful purposes and, in this connection, advocated the widest practicable development of international cooperation in obtaining this source of energy, which is essentially inexhaustible, for the benefit of all mankind." This wasn't a mere footnote. For years, influential members of the fusion community on both sides of great East-West divide had been calling for such a political initiative. Research had reached the point where a large international collaboration was needed to design, develop and finance the "Big Machine" that would demonstrate the feasibility of fusion energy. A strong political boost was just what the initiative needed, and—despite the Cold War tension (or because of it)—both Reagan and Gorbachev were willing to give it. In the fall of 1985, the opening move came from the Soviets. A few months into the job of General Secretary, Mikhail Gorbachev needed to ease his country out of the tensions and costs of the Cold War. Advocating a large collaboration in a scientific field that had no military implications was one of the tools he intended to use. 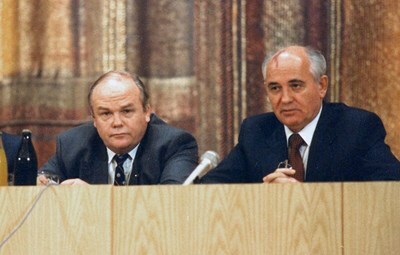 "When he became the leader of the country," said Velikhov (who is interviewed in this issue), "Gorbachev understood very well the necessity of broadening international cooperation in the modern world [...] Fusion research was one of the branches of science and technology where the Soviet Union could work on equal terms with any country in the world." In the US, the fusion community was also at work. Charles Newstead, a fusion physicist and one of the US State Department officials involved in the pre-Geneva negotiations, remembered in a 2009 interview in Newsline how difficult it was to convince reluctant members in the Reagan administration that accepting Gorbachev's proposal was not, as they feared, "giving the Russians the secret of 'Star Wars'" (a nickname for the Strategic Defense Initiative, a proposed orbital missile system to protect the United States from attack by ballistic nuclear weapons). Newstead recalled several "shouting matches" prior to the Geneva meeting in the White House Situation Room, the only place that was deemed safe enough to hold meetings on the Soviet proposal. 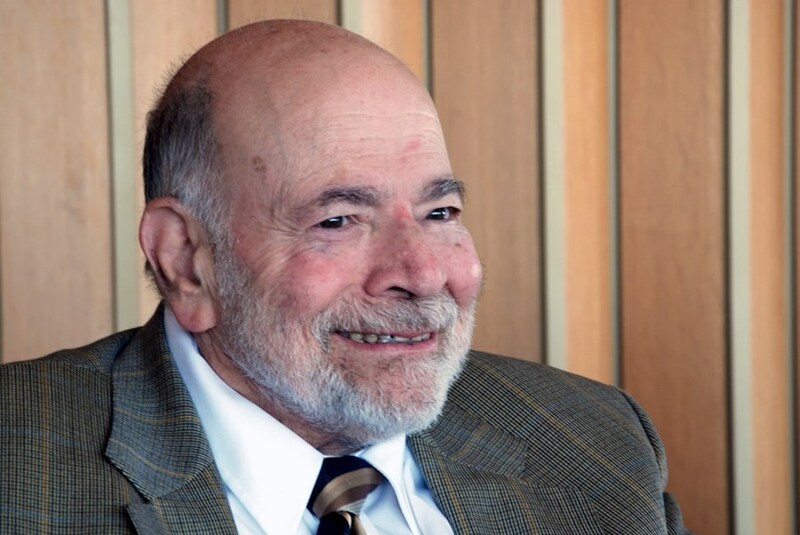 "Once I had to close an argument saying that I had a PhD in physics and they didn't..."
At the Reykjavik Summit, on 11-12 October 1986, a Quadripartite Initiative Committee was formed with EURATOM and Japan, setting the project of ''The Big Machine'' on track. Meeting in Vienna on 15-16 March 1987, the Quadripartite Initiative Committee decided that the machine would be named ITER. William F. Martin, Executive Secretary of the National Security Council at the time and Special Assistant to Ronald Reagan from 1982 to 1986, recalls the "climate" in which Gorbachev's proposal was received. In a 2012 letter to Alvin Trivelpiece, then Director of the Office of Energy Research at the US Department of Energy, he wrote: "At this time, we had no positive relations with Russia. It was the 1984 period when Reagan had called the Soviet Union 'the Evil Empire.' You and Evgeny Velikhov [...] crafted an extraordinary concept that the two countries could begin common research in magnetic fusion — but there were those in the government [...] that said it was to their advantage to engage with us and that it would be militarily useful to the Soviets." Soon, however, these objections and obstacles were lifted. 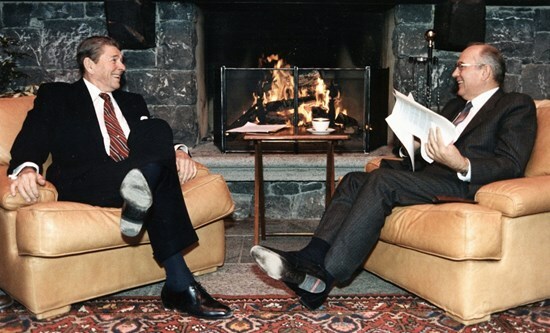 Reagan's and Gorbachev's long-term vision was to prove more powerful than fears and mistrust. Eleven months after the initiative in fusion was launched at the Geneva Summit it was confirmed at the Reykjavik Summit. A Quadripartite Initiative Committee was formed with EURATOM and Japan, and "The Big Machine" was on track. Soon, it would be called ITER*. Although the idea of developing a large international cooperation in fusion research "as a potential way of dealing with the energy needs of the world of the future" was the very last item in the Geneva Summit's agenda ... in the end it was one of the farthest reaching. * The name "ITER" was agreed upon at a meeting of the Quadripartite Initiative Committee at the IAEA in Vienna on 15-16 March 1987.